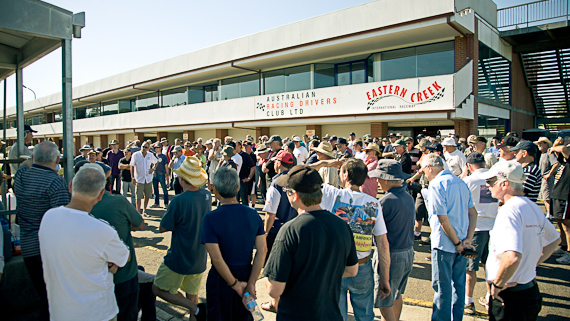 In just two weeks the very first of our competitors will be rolling in to Sydney Motorsport Park to unload their stunning historic racers and prepare for early practice and testing for the 2012 Tasman Revival. We have a provisional entry list and programme of events online for you to download, and you can access them by clicking the following links, or right-clicking and selecting ‘Save As’. Remember, tickets are on sale now for spectators from both Ticketmaster and the ARDC. Click the following links to head to their associated websites and get ready for the Tasman Revival! Click this link to purchase tickets directly from Ticketmaster. Click this link to purchase tickets directly from the ARDC. This entry was posted on Tuesday, November 6th, 2012 at 11:01 pm	and is filed under Tasman Revival and tagged with 2012. You can follow any responses to this entry through the RSS 2.0 feed.